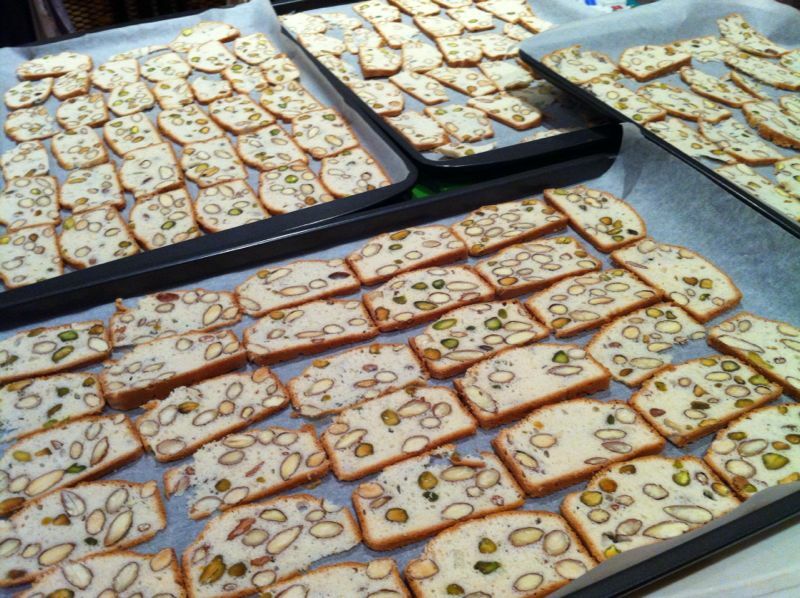 Almond bread is a twice baked thinly sliced biscuits served with coffee or on its own. 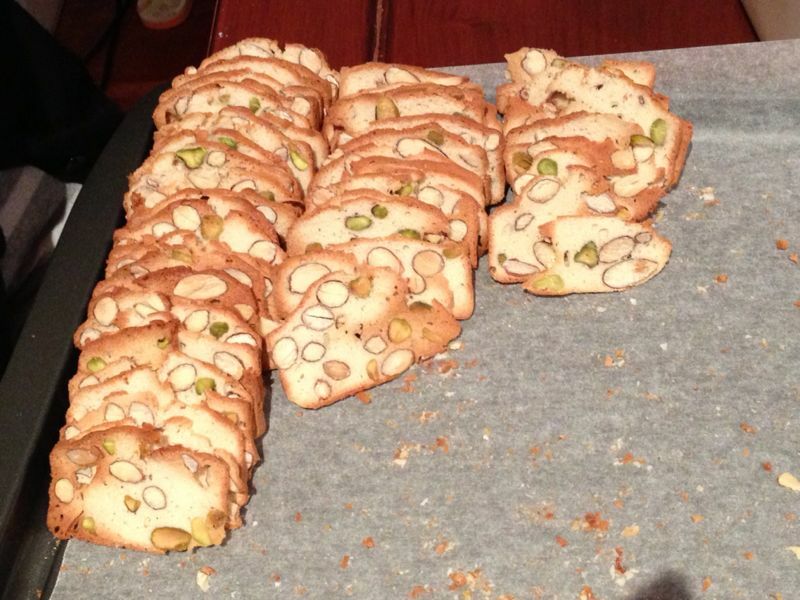 Its delicate light texture and crispy almonds makes it hard to stop at just one. Personally, if I were allowed to I’d consume a whole bag in one sitting, 😛 BUT that was not really possible until I discovered how easy it was to make them! As a child my mother would buy them on a rare occasion, because it was a tad expensive for our family’s budget. She’d ration it out to me as rewards one or two at a time, maximum 3 in one sitting. So……! 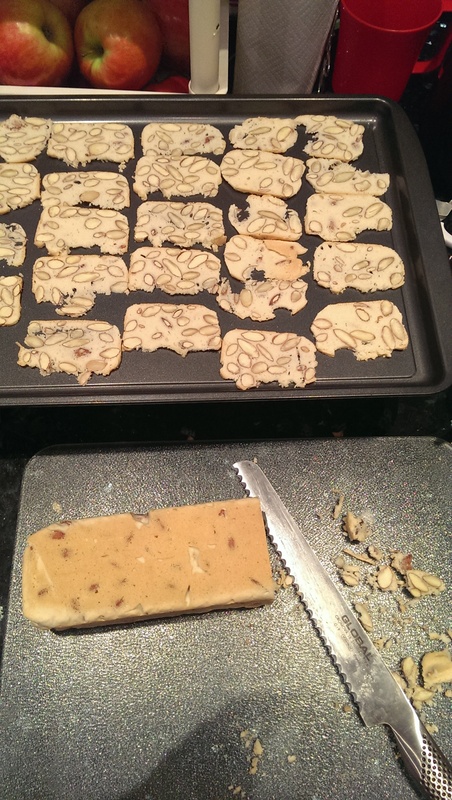 You can imagine my shock, horror and delight when I found out how to make them. Emotions of shock and horror come first, because for what’s in these biscuits, these biscuits are so highly priced. No wonder my mother only let me have them as rewards! Delight comes after I get over those initially emotions, because with this recipe, I now can eat as many as I please and not worry about my wallet XD, it’s super easy. 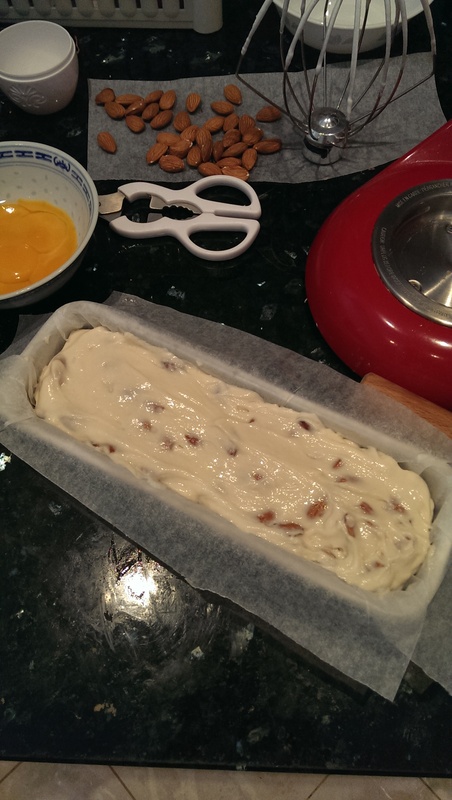 Line a 5cm by 30cm tin with baking paper, or any loaf pan that when sliced looks similar to a square log biscuit. 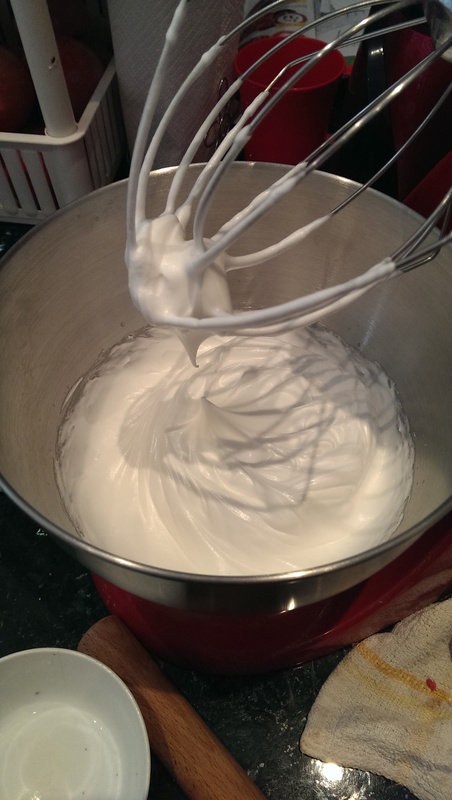 Place the egg whites into a large bowl and whisk until soft peaks form. 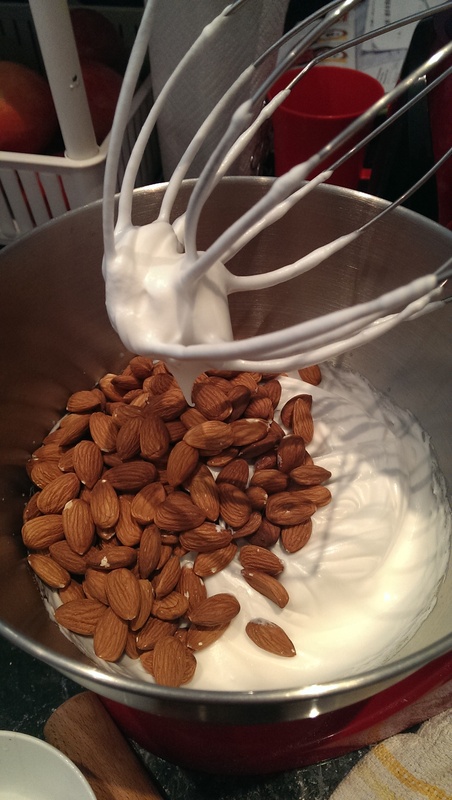 (I use a freestanding mixer with a whisk setting, but you can do this with a whisk and bowl or electric beater). Add sugar, beat until dissolved (take some mix into your fingers and rub, if it feels grainy continue whisking until it is not grainy when you rub some mix in between your index finger and thumb). Place mix into baking pan, use a offset pallet knife to smooth the top. Bake at 180C for about 30 minutes or until a skewer comes out clean. When cool, wrap with foil and leave for 2 days (I usually slice mine straight away once the bread is cool, but it is more difficult to slice, the loaf gets firmer and easier to slice if left for 2 days). Place biscuits on trays in a single layer. Bake for about 35 minutes or until golden brown, dry and crispy. Place on cooling racks to cool. From experience though, they generally don’t stay there long, I’ve found members of my family will smell the roasted nuts and come down and nibble away. Enjoy with a cup of tea and in good company. looks amazing and sounds so delicious! !